I’m sure by now you are all fed up with hearing about the #brumbloggermeet but I have to say, it really was a lovely day. I managed to meet up with Danni for a coffee and some shopping before we went on to meet everyone else. It was lovely to have a catch up as we haven’t had a proper chat since uni ended and I have missed her! 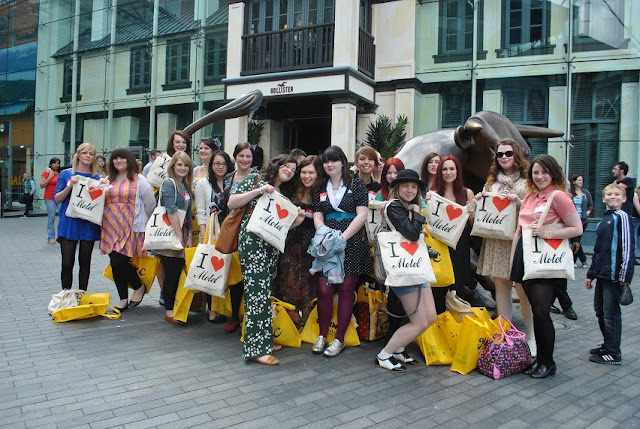 After some initial nervousness we met up with everyone at Starbucks in the Pallasades shopping centre (who I’m sure were thrilled by us commandeering half of the shop :P) and it was so lovely to meet so many gorgeous girls whose blogs I love and I have to say you all are even more lovely in real life! 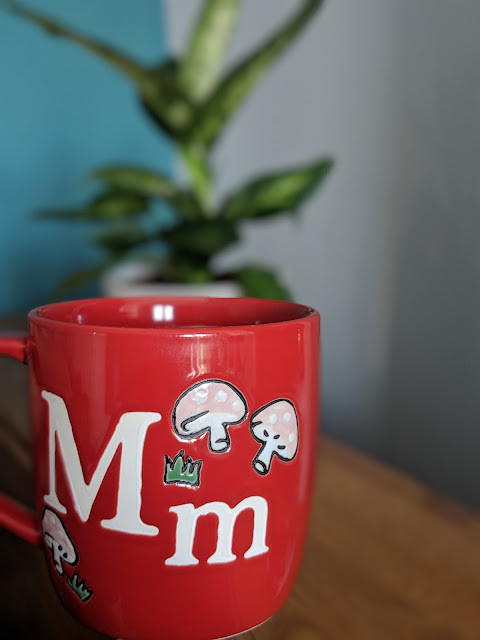 I am such a fail as a blogger though as I took my ‘big camera’ (after much debate on Twitter) and didn’t take any photos...fail. Luckily I have managed to pinch some off Fritha because otherwise this would be a very sparse post! We were very spoilt with the goodies that Fritha and Claire had organised and so we all posed with our bags from Max C... 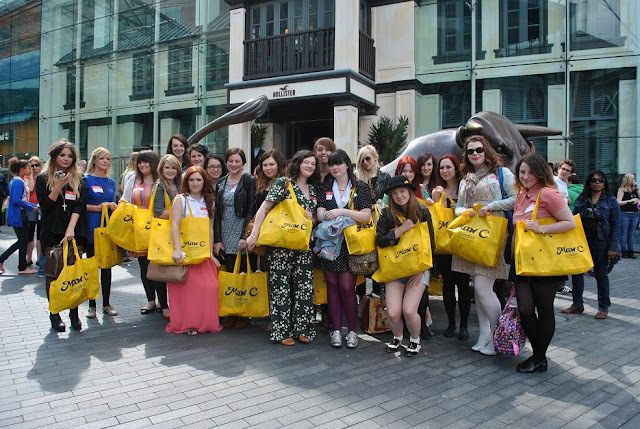 So many people asked about these when we were wondering around Birmingham and they proved very useful for locating bloggers in the crowds! I love the kid posing on the end! The lovely Selina (who I was super chuffed to meet as she was the first blog I ever read!) had also organised some fab Motel goody bags which also contained some lovely goodies :) I have to say a special thank you to all of the lovely people who contributed some goodies too:Clothing at Tesco, Crown and Glory, Find Me a Gift, Jon Richard, Little Fille, Max C London, Motel Rocks, Missguided, Romwe, and So Charming. I had such a lovely day meeting some of my favourite bloggers (who Louise has listed HERE) and these bags were the icing on the cake! What could possibly be better than name tags?! Now I know this will come as a bit of a shocker, but yes I am wearing a jumpsuit! I would usually veer away from a jumpsuit as I am not long limbed like Lil or Danni but this one called out to me. I have been obsessed with maxi lengths recently and the print on this meant that I was persuaded to try it on... [Let's just say that Danni is an extremely bad influence!] and minutes later I was sold. It is super comfortable and fits like a dream! I can imagine it being equally yummy in Autumn too and I have a few chunky cardis and shoeboots that would go very nicely... Originally I was wearing the infamous Venice dress but I loved the jumpsuit so much that I got changed straight away! Do you enjoy meeting up with other bloggers? Have you been persuaded to break out of your normal style? Aw shucks *blushes* It was lovely to talk to you too! I do love that playsuit, the flared sleeves and legs are my preferred shape too! OMG, Maria! I LOVE your jumpsuit--you look flawless! I've been reading all the meet up posts with such jealousy! It looks like it was so much fun. And your jumpsuit is amazing. I love it. I cannot tell you how much I love the jumping photo! :) Made me smile. It was such a pretty jumpsuit too, a very good choice. Lovely meeting you, hopefully will again some time so we can chat more and fight over dresses. That is such a fab jumpsuit! I really love it, it fits you so well and looks stunning! 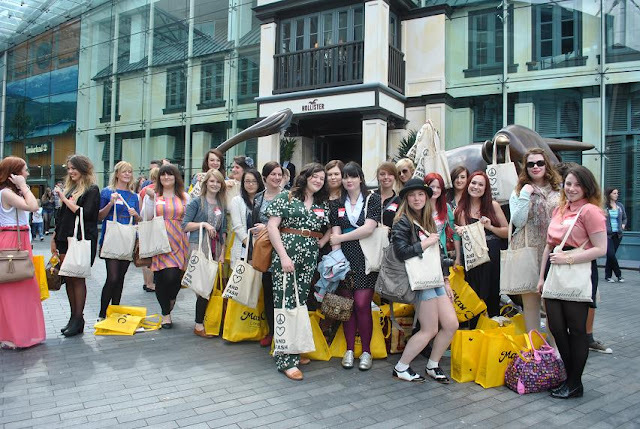 The blogger meetup looks fabulous too, wish I lived in the midlands! wow, so many of you, that must have been so much fun!! and all those lovely gifts too- so lucky! I totally love the jumpsuit! It was brilliant to meet you! I love your playsuit, you look amazing in it, forgot to tell you on the day! Hopefully we'll meet again soon, I wish I'd had more chance to chat!